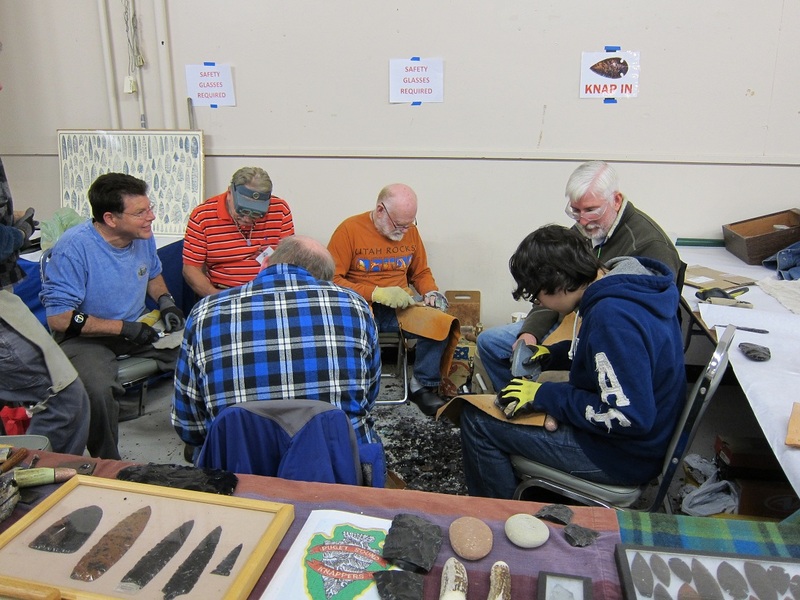 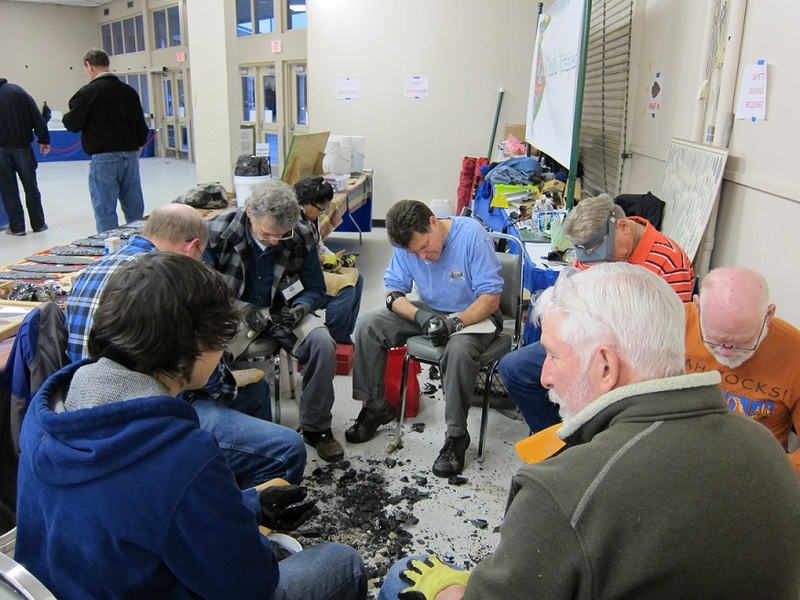 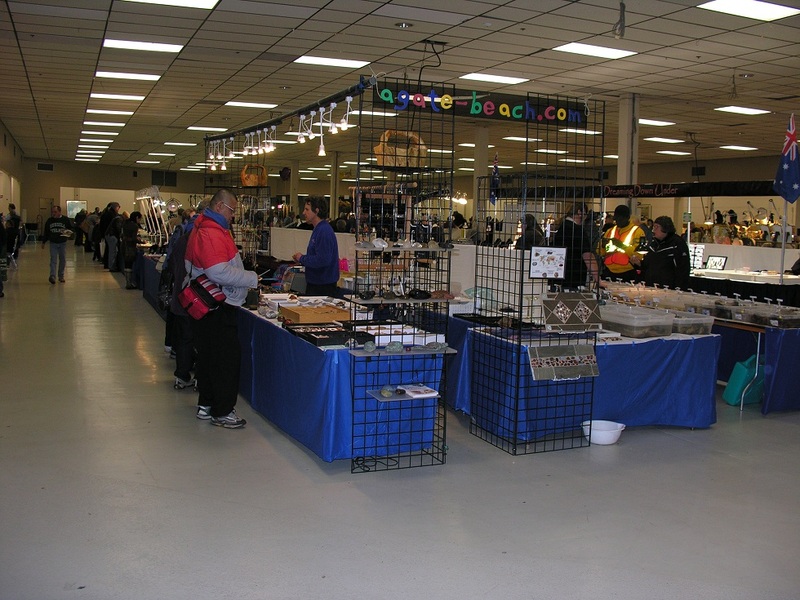 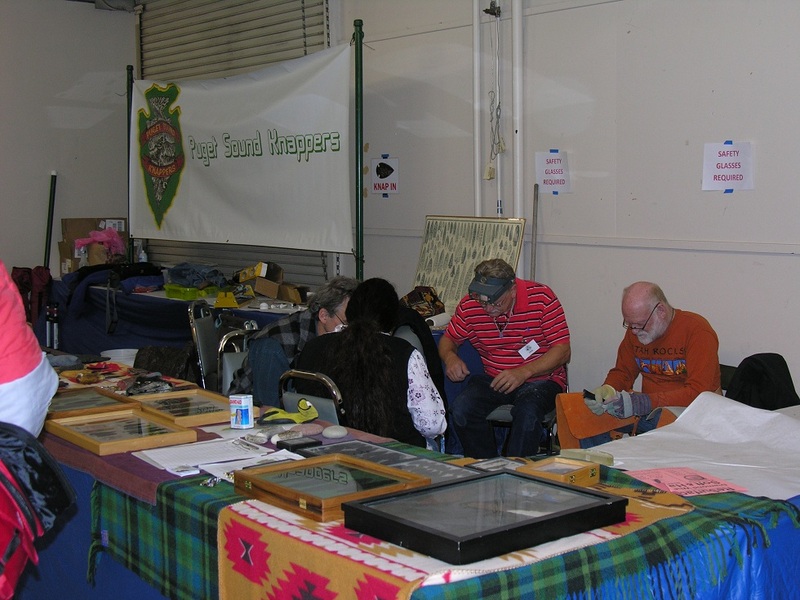 At the invitation of Rich Russell, member (treasurer) of the Cascade Mineralogical Society and volunteer for the South Sound Gem Opal and Mineral Show a bunch of PSK members attended and spent Friday through Sunday demonstrating and teaching flintknapping. 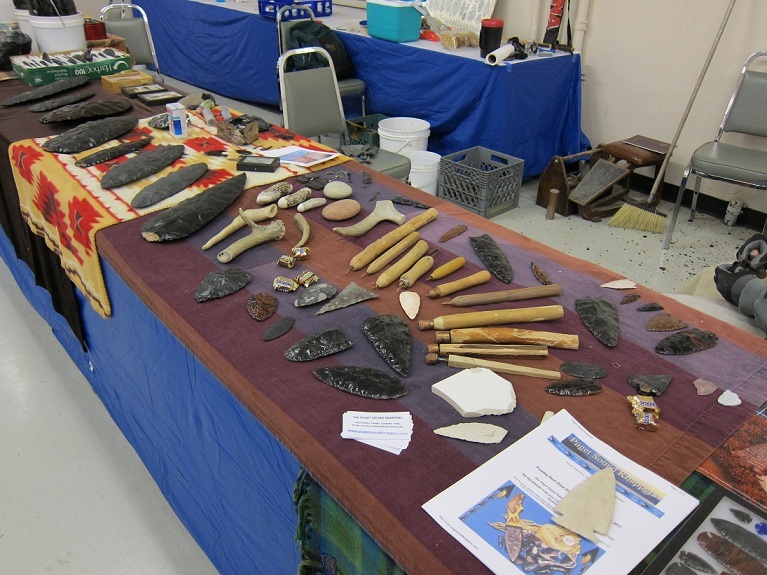 It was both a busy and rewarding show – lots of people, young and old, tried their hand at flintknapping. 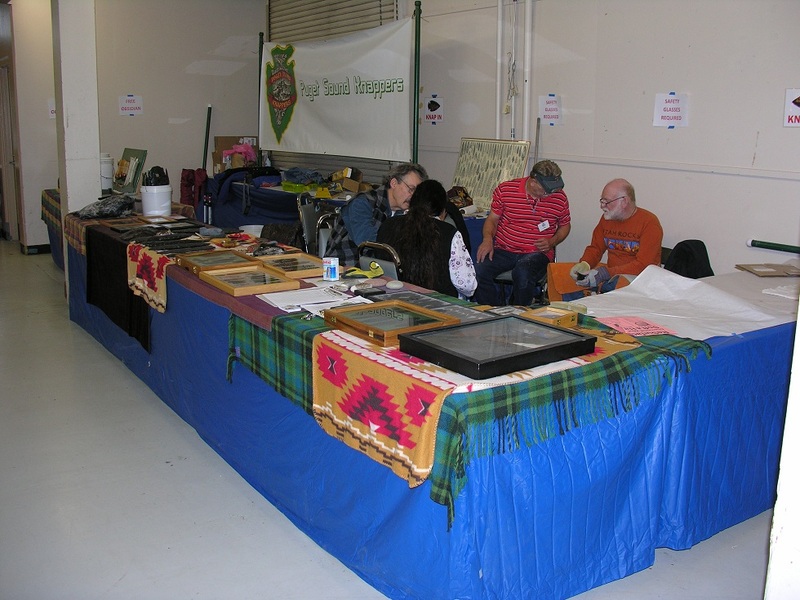 Even more kids received a point if they stopped by and showed any interest – and there were lots of points given away! 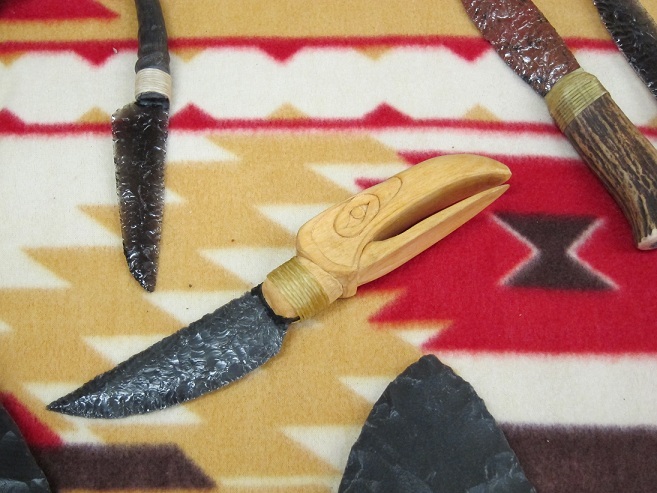 Not too many photos - just to busy knapping!